Our Laverda 2TR is a beauty, and in great original condition, but it’s previous owner did use the beast in anger (in spite of its great rarity), and so it needs a thorough checking over before I use it in this year’s Lands End Trial. A couple of significant problems quickly emerge. 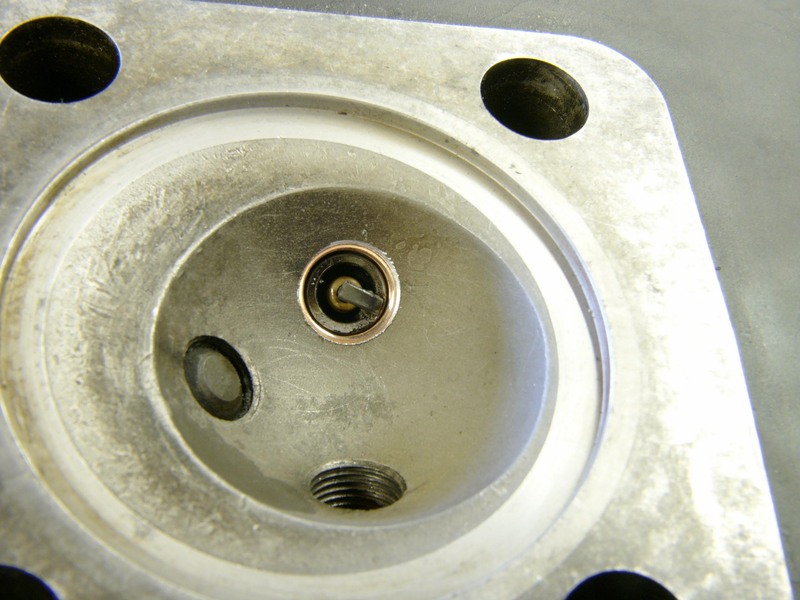 One of the two plugs comes out only very reluctantly, and the reason is soon apparent. Only the last couple of threads are respectable and the rest look like they’ve been attacked with nails. It must be possible, with great care and patience, to get the plug back in, but that’s not for me. Sweet little copper insert is the answer. 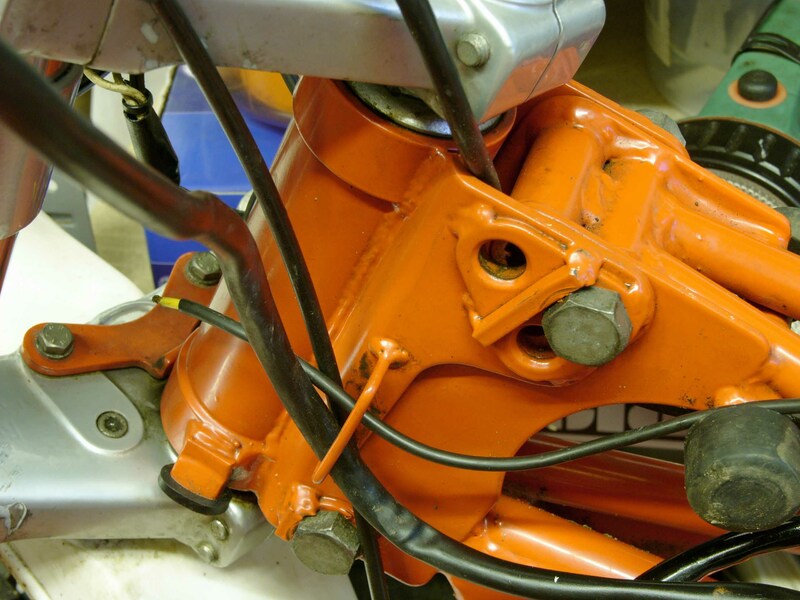 The front engine plates are mounted to the frame with four M7 bolts – one good, two loose, and one missing altogether. 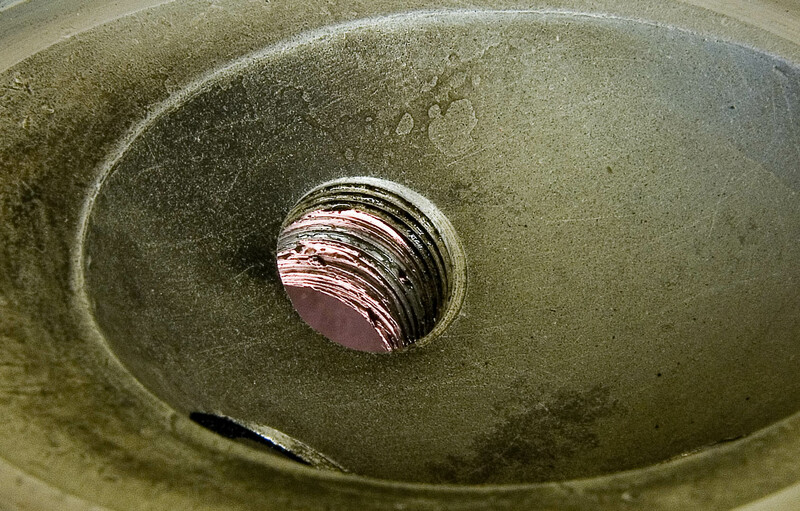 The three bolts still present are all showing thread damage where the engine plate has sawn gently at the bolt. Time for replacements. 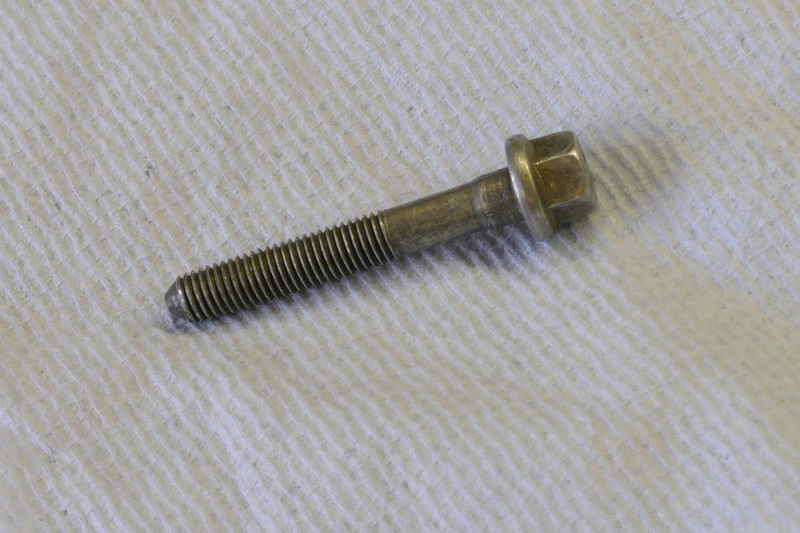 My solution is to use some camshaft retaining bolts from Alfa Romeo (thanks Graham!). Things of beauty, they have M7 threads but a lovely flanged 10mm head. They also benefit from having that short, slightly oversize shank onto which, if I insert them from the inside, the engine plate can rest. Nuts on the outside are not so neat, but worth it. 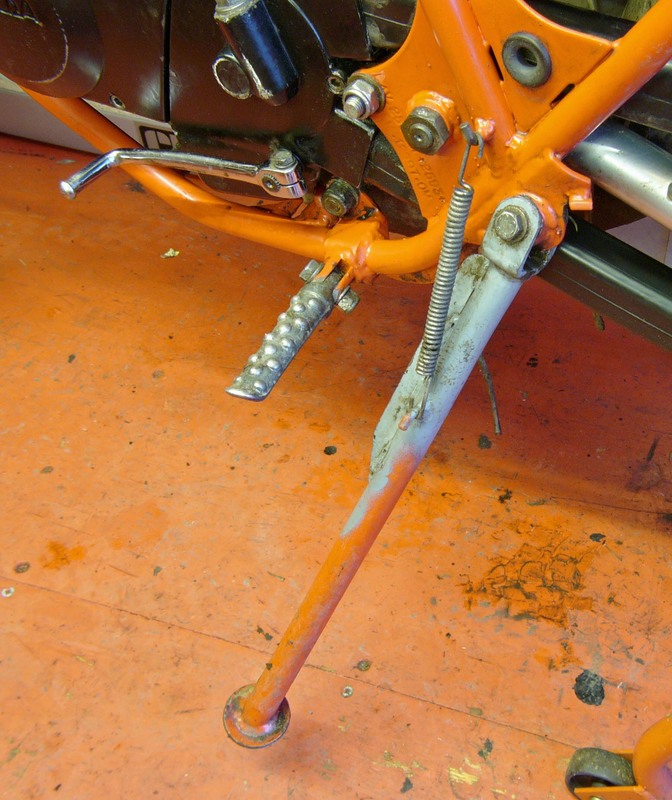 The sidestand has been strengthened to make it possible to kick the bike into life from a standing position. 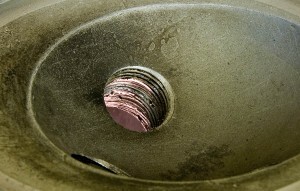 You can see the bracing behind the spring. It’s a great improvement which provides a very stable perch for the one good swing it takes, hot or cold. It will probably make nocturnal puncture repairs a bit easier too. 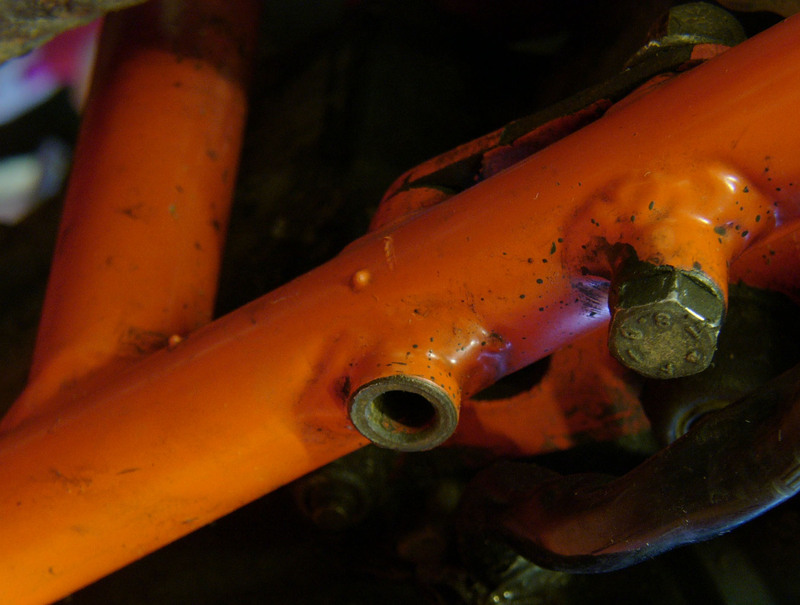 It’s time the bracing had a lick of orange paint though, and I’ll touch up the frame while I’m at it. 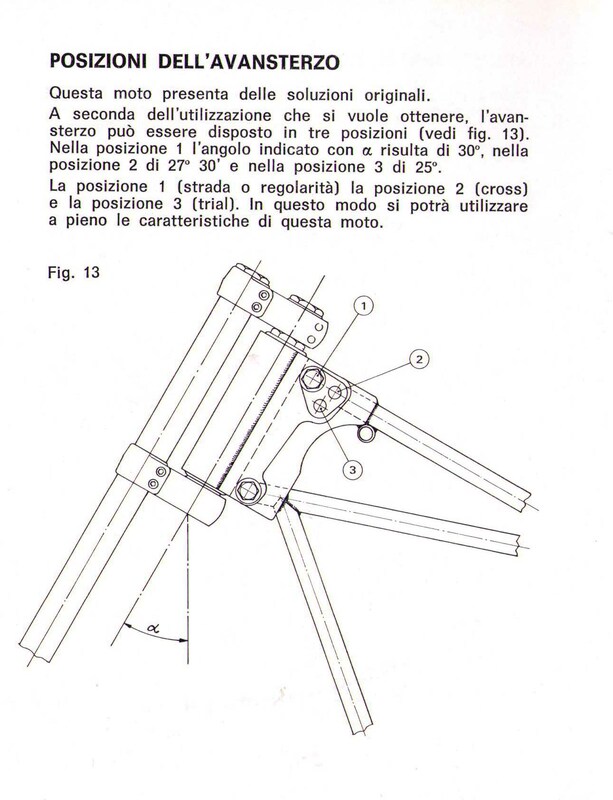 Since we are talking frames, this is my opportunity to show you the Laverda’s adjustable headstock. Three different positions: road/’regolarita’ (30 degrees), motocross (27.5 degrees) and trials (25 degrees). As you can see, we are taking the middle way at the moment, but I am looking forward to trying out the other settings.